It was 9 PM on a Tuesday night and I heard some noise from outside. At first, I was hesitant to go out and check what was going on outside. But then the noise started to increase and I finally decided to go take a peek from my balcony window. I saw a fairly old person quarrelling with another mid-aged guy across the street.I normally do not interfere in others affairs but this one time I made up my mind to find out what was going on. Went down but I couldn't get much info that night. Next morning my neighbour told me the reason for last night issue i.e. "landlord had cut huge chunk from Security deposit". So, we at “http://www.flatgradings.com” took this opportunity to speak with few random landlords and tenants, with a vision to somehow find out the solution for this issue. Our idea was to find a common ground for both landlords & tenants so that they never end up with fights during move out. "Never burn the bridges because you may need to cross them again". First we spoke to few Tenants – A Student, IT Professional and a Professor. Manju – A student from Hyderabad pursuing his BE in CMRIT college, says paying 10 month security deposit upfront for an house in Marathahalli was not at all easy for him. He had to ask his father - A florist, to help him pay the deposit. With lots of difficulties they were able to pay the deposit. Manju mentioned that his father had to do extra hours at his shop & lend money from his relative to arrange the money. He also mentioned that “10 months deposit doesn't prevail in his home town” and it's not at all Practical for a student to pay such huge amount upfront. He just prays landlord returns his security deposit in one piece. Biplav – An IT professional hails from Kolkata had paid 10 months security deposit which was whopping 2.5 lacs for his previous residence in Koramangala. He mentioned arranging 2.5 lacs was an herculean task since his owner did not compromise on the 10 month security deposit. At that time he thought the money is kind of refundable amount when he decides to move out. When he actually decided to move out, the owner started acting very smart and cut almost 3 months rent which was Rs. 75,000 in the name of painting and other maintenance. He mentioned that there was no need for any painting since he had maintained the house like his own, No nails on the wall except for few airline cracks which happen due to climatic changes. Also, during his stay, the rent was revised every year without any kind of logic behind it. Mahesh – Professor by profession stays in A Narayapura. He mentions that he had the best landlord because they had settled for 5 months deposit and a very reasonable rent. But everything changed when he decided to move out of the house. Landlord cut 2 months of rent as maintenance and he got just 50% of the remaining deposit even when he had given the landlord a one month notice as per agreement. Mahesh had to run behind the landlord for almost 6 months to get his remaining money. 1. Paying 10 month security deposit upfront.There should be strict law to govern this. 2. Exploiting tenants by cutting huge chunk of security deposit as part of maintenance & painting charges while moving out. 4. Hiking rent every year without any prior notice. 1. Why do you ask for 10 month security deposit ? [Owner] Bangalore is a costly city and we have invested lakhs together on the house. We pay high EMI's on loans every month. So, the only way to keep our property safe from any damage is to collect 10 month security deposit. Most of them asked us few questions : What if we agree to 1 month security deposit like other cities, and the tenant locks the house and absconds ? What if tenant causes too much of damage which would cost us hefty cheque to repair them ? 2. What kind of damages are you talking about ? [Owner] At times we have seen too many nails hit on the wall which leads to many cracks. My tenant kid had drew on many walls . Geyser was not working. Few floor tiles had cracks. There was an instance where tenants didn't pay electricity & water Bills before vacating. 3. How do you justify cutting hefty amount from security deposit while moving out ? [Owner] We do not cut hefty amount rather it's just a reasonable amount. Fixing the cracks on walls is not easy since filling cracks, painting two coat and then the painter labour comes at high cost. I would suggest every tenant to go check the cost of paints & painters labour before fighting with us. Fixing electrical fixtures and other things also comes at a great cost. 4. 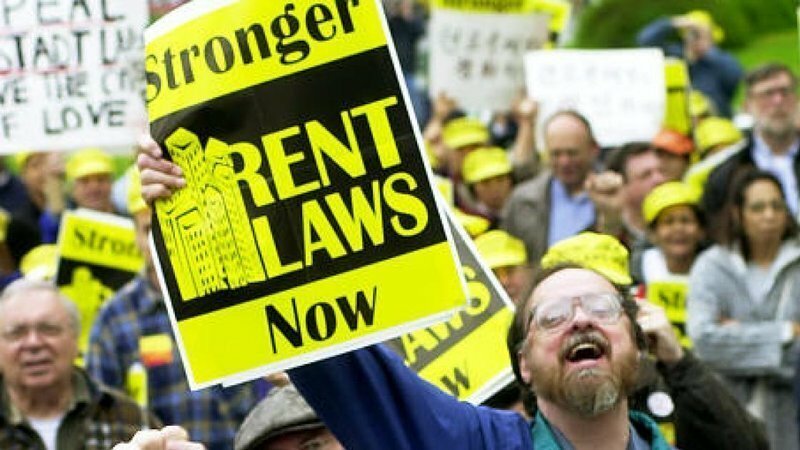 Why do you charge high rent per month ? [Owner] We have enquired most of our neighbours about how much they charge as rent and then we decided on pretty much the same amount. So, in our opinion it's not high rather it's a normalized amount. 3. And some more damage to property. Based on the pain points from both Tenants & Landlords, a team from FlatGradings tried to research on the best possible means to solve it. 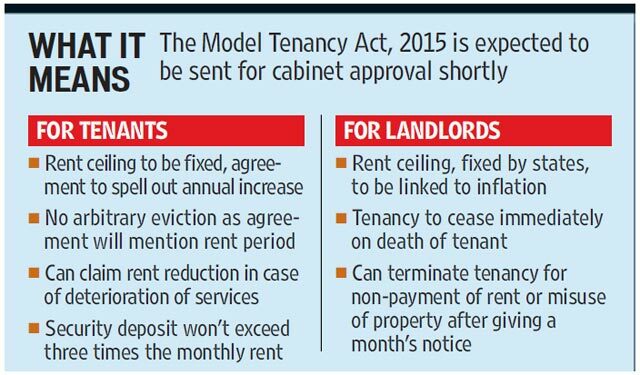 Many tenants are taking the social media by storm to cut down the 10 month security deposit in Bangalore city with an "online petition" urging Honourable Chief Minister Mr. Siddaramaiah to enact the Model tenancy act in the state. Please sign if you support the cause. 1. Interest of landlord protecting his property from damage during the tenant's stay. 2. Landlord deducting some part of security deposit as part of damage maintenance. 1. 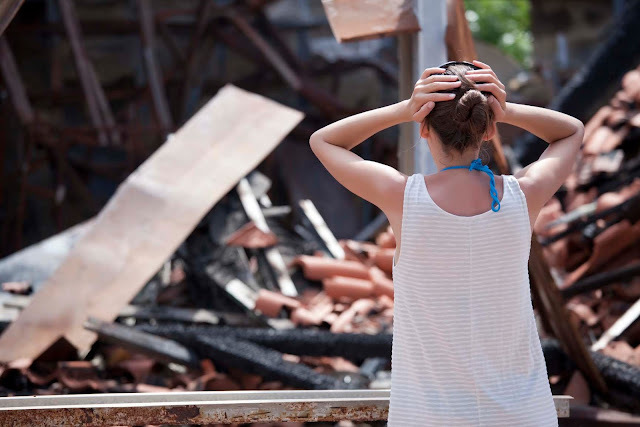 Insurance - Is the best way to cover any kind of damage. And in this case Home insurance can give the owners a sense of relief. But insurance comes at a reasonable cost - So who pays the premium every year ? 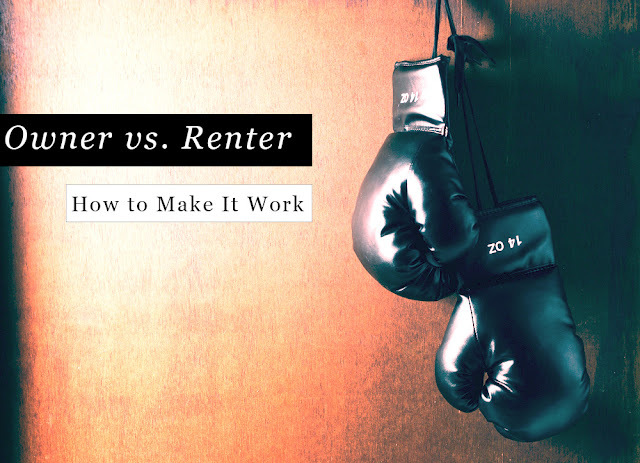 Tenant & owner can come to terms about this and it should be mentioned in the Rental Agreement. A small fee every year can save the huge security deposit cut at the end of tenure. This will be a win-win situation for both parties. 2. Property Managers - Consider both parties do not opt for insurance and now tenant vacates the premises. Landlords cut some part of security deposit as part of maintenance without providing any kind of justification. So, what if Third party companies like cozee.in, Zenify.in (Property managers) which can make detailed study of the house (Before tenants occupies & after tenant vacates) and provide the exact quote of damage with receipts. With so much of transparency, tenants won't think the landlords are being unreasonable because these property managers are not biased towards any party and they also provide receipts for every repair they make. This will strike the right balance and both parties will never have to break the "So-called" bridge ! And if you have any better suggestions to tackle this landlord-tenant fiasco then please leave it as comments. 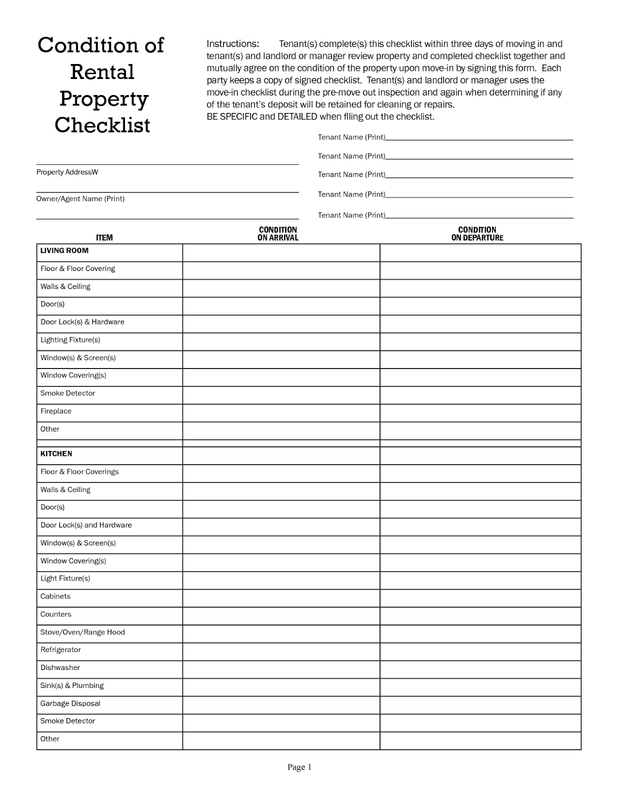 It is very common to use independent inventory checks at the time Tenants enter a property and when Tenants leave the property. Both owner and tenant agrees with the agency doing inventory checks and a reasonable amount is deducted based on report provided by inventory checks. Also advance deposit is handled by a third party which has terms and condition about in case of dispute how the deposit will be handled. Deposit is submitted to renting agency and they will get the interest on deposit as their fee for paying to the third party. This also cancels out the case landlords are asking unreasonable deposit so they can earn interest on deposit. At the same time deposit is estimated by independent inventory agency and agreed by both parties. I agree with Ashish, this model is the best way to go forward.The last time I vacated a house in bangalore which i took on lease. The owner deducted Rs.27000. stating that he needs to paint the house and that as we are leaving before the leased period he needs to pay to the broker again.Independent agency should be used to do the inventory before and after.